Pete's Blog & Grille: Hey George Clooney! I've got twin daughters! And advice for you and Amal! Hey George Clooney! I've got twin daughters! And advice for you and Amal! Twenty six years ago March 1, my wife Helena spent the better part of an otherwise nondescript Friday giving birth to our identical twin daughters Ewa Frances and Ria Bridget. Between that day and now, Ewa and Ria have become fully functioning humans. They read; they can add; they have all their digits and teeth. Our twins have social insurance numbers; they work diligently, play enthusiastically and help the less fortunate. Then there’s this--something their mom sweated seriously when the twins were tiny—Ewa Frances’ and Ria Bridget’s toilet training took. In the light of that success, last week our friend Emily Gayle Aitken—herself the mother of twins Nigel and Aiden--Facebooked me the following message: "Are you on George Clooney's speed dial for advice for dads of twins?" Twin advice for George Clooney. "What a great opportunity," I thought, "to show off." Amal Clooney--the spectacular credit to the species who married George in 2014 only because he must have lost, as did I, my niece Jen Carter's contact details when Jen moved from Hamilton, ON., to Ottawa--is due with twins in mid June. Acting on Emily Gayle's advice, I decided I could write a very clever blog about how Clooney's many roles have prepared him for this great adventure. BE PREPARED: To be outfoxed. Mrs. Fox: "Why did you lie to me?" 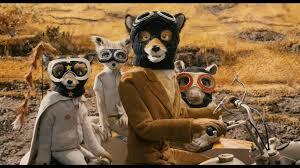 Mr. Fox: "Because I'm a wild animal." One time a few years ago, when Ria was in Kelowna, B.C., she called me in Toronto and asked me to Google-Map directions to some place in Kelowna! It's pretty funny, given that she has already traveled to more places on this planet than I have and she doesn't do it with guided tours, I'll tell you that much. Something I've noticed about Ewa and Ria is that they seem to be absolutely fearless. My feeling is it's because they have each others' backs so securely. They were the first kids on our block to walk to the corner store by themselves. But never mind that. Remember in "Gravity" Clooney miraculously appears out of space to guide astronaut Sandra Bullock's space capsule safely back to earth? That's sort of what I did with Ria in Kelowna. I warned you it was clever. You'll really like this one. "The Perfect Storm." Does that describe one of those chilly winter nights when the infant twins are cholicky, crying, and poopy, and you’re so tired you’re thinking that you could fall asleep on the hardwood floor right beside the crib and you have to go to work in the morning and your wife is looking at you with tempered steel daggers in her eyes thinking “that stinking ugly S.O.B. gets to leave this house and go to a job where somebody else makes coffee and cleans the bathroom?” or what? I could go on and on with this cleverness but I'll wind up—and not only because my grand-nephew Timothy Gordon Jr. once hinted that my blogs sometimes run a little long and he’s right—with this. George? You don’t have to worry about a thing. Exhibit A: You married Amal. Clearly, you're okay with being upstaged by the people you surround yourself with. All kids are upgrades of the moms and dads that make them. Your twins will be smarter, better looking, more conscientious, morally superior and funnier than you and Amal put together. They will read your and the missus’ minds. They will have you wrapped around their every finger and toes to boot. They will know the punchlines to your jokes before you do. But my advice to you, George, just stand out of the way, cheer them on and enjoy the show. Every morning for the rest of your life, George, you’ll wake up amazed that you had something to do with these twin forces of nature. Exhibit the second: In “Brother Where Art Thou?” you proved you have no problem looking like a goof. That's definitely a plus. Knowing a bunch of songs is very helpful too. Finally: the band you sang with? The Soggy Bottom Boys? A lot of diapers are going to need changing, by George.